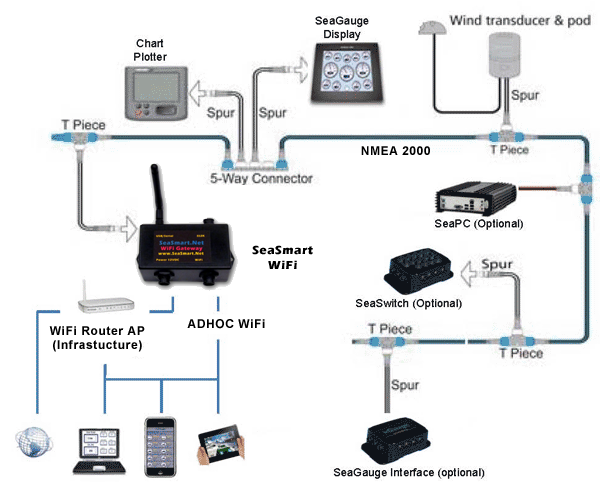 Plug and Play Wireless NMEA 2000™ and NMEA 0183™ compatible interface module consists of a USB/Serial gateway, 802.11 b/g Wi-Fi transmitter and built in CGI/AJAX web server. 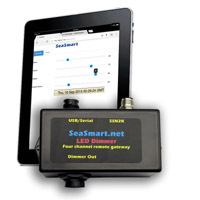 Compatible with most browser enabled devices such Smart Phones, iPhone, iPad, and Android, SeaSmart.Net™ allows users to view NMEA 2000™ and 0183 serial data via integrated web pages eliminating add-on license fees. Open Sourced HTML Protocol allows simple customization to fit any application from weather station, dual engines, battery banks, fluid tanks and more. Now view all gauges, switch positions and GPS information from any browser enabled device. 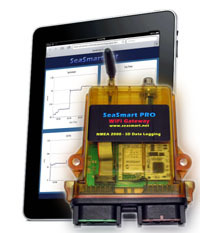 SeaSmart.net will allow internet based applications to directly access NMEA 2000 and NMEA 0183 data over TCP/UDP connections. Now view vessel information from anywhere. Also supports AIS information via on-board receivers. 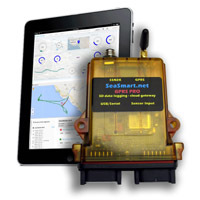 Chetco Digital SeaSmart.Net™ technology makes wireless gauge viewing, data access and data storage as easy as using a smart phone and browser. 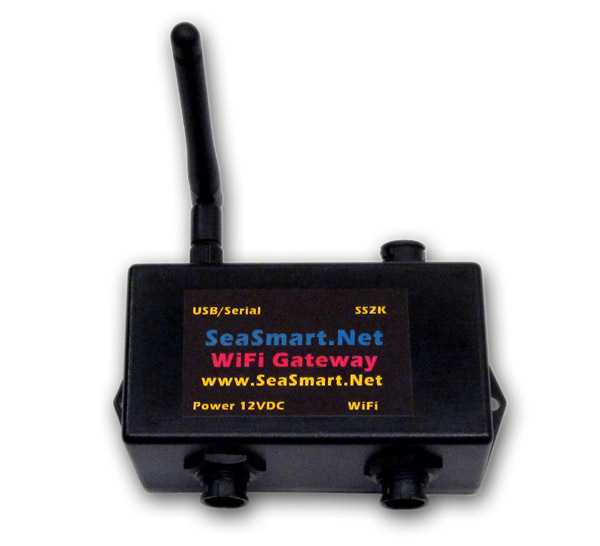 SeaSmartWiFi is bundled with sample Web Pages for instant setup. Custom development tools are also included. © 2011 SeaSmart.NET™ and Chetco Digital Instruments, Inc. All rights reserved.